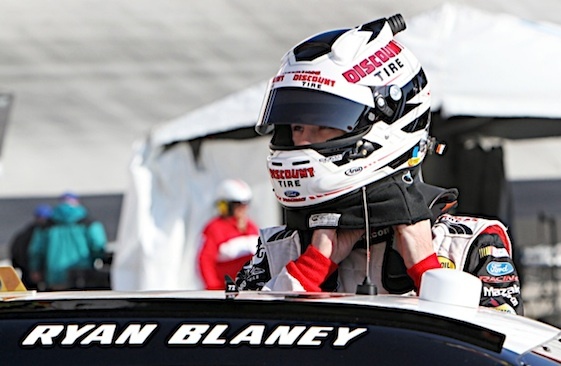 Wood Brothers Racing announced Thursday that it has entered into a technical alliance with Team Penske and that Ryan Blaney will drive the No. 21 Motorcraft/Quick Lane Ford Fusion in the NASCAR Sprint Cup Series in 2015 for at least 12 races. In addition, Blaney with practice and qualify the car this weekend at Michigan International Speedway while Trevor Bayne competes in the NASCAR Nationwide Series race at Mid-Ohio. Bayne will start from the back of the field for Sunday’s Pure Michigan 400. The Wood Brothers have been participating in an alliance with Roush Fenway Racing the last several years.